The Nikon 1 V1, Fuji x10, & Canon s100 (plus Fuji x100 and Canon G12 & s95) all have something in common this holiday season – they are collectively the hottest high quality compact cameras on the market. While some like the s95/s100 may be classified as a “point and shoot” camera, I really put all of these cameras above and beyond the typically low quality consumer cameras that we call point and shoots. This article is the home page for other articles that cover each camera individually. I’ll send this series with a comparison article(s) that will cover how they compare in more depth. Please check back often to see links to new updates as my goal is to complete this series by mid-December 2011. What about the Panasonic Lumix DMC-GX1, etc…? Noticeably absent from this line up is the Panasonic Lumix DMC-GX1, but the reason is simple – I just could only do so much so I focused on the cameras I was most interested in. I’ve borrowed a friends DMC-GX1 briefly and it seemed like an okay camera, but I had my hands full with this comparison so other cameras simply didn’t make the cut. My apologies to the Lumix fans out there. 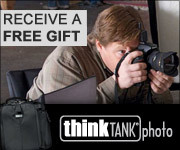 What do you mean by plus Fuji x100 and Canon G12 & s95? When writing this article I had “on hand” the four cameras shown in the photo at the top of the page, but you can also read my existing reviews on the G12, s95, and x100. I am very familiar with those cameras and I own a G12 (as well as having extensive experience with the G9, G10, and G11) . However, the x100 and s95 was not on-hand for a side, by side comparison during my testing. I have all of my data from testing them previous and will discuss that during this comparison. While these cameras are DLSR-like, they are not DSLR’s. Instead, they are more portable so I wanted to test these cameras as my alternative camera for times when I didn’t want to have my bulky DSLR. As a result, the types of photos I’d take or situations I’d be in with these cameras are entirely different than what I’d do with DSLR’s. In short, I used these as every day practical cameras not only for myself, but I also shared it with my wife and friends to give me their subjective feedback on the real-world usefulness of these cameras. In fact, some of my friends might choose these as their step up from their current crappy point and shoot as a DSLR-alternative, so my testing drew lots of interest. I carried one or more of these cameras to normal day to day activities and shot them as I’d normally shoot my G12 or iPhone. While I typically modified the settings to capture RAW files (when possible), I did try to take advantage of the auto features of these cameras and use their in-camera JPEG’s as much as possible. I did this because my idea behind owning one of these cameras is to sacrifice some quality (over a DSLR) in exchange for portability, easy of use (i.e., literally point, shoot, and move on), and faster post-processing times (either print or upload to the web “as is” from the in-camera JPEG, or only minor Lightroom edits). At the conclusion of my testing I did put all of these cameras on a tripod and did various testing using different modes, focal lengths, ISO, etc… This testing is primarily for my own use, but I will share some of those images and data in this series. However, I’m not trying to replace what DPReview.com does – they have a staff and its their full-time job, so they can do a lot more than me. If you want a scientific comparison to pixel peep until your eyeballs dry out, then go to dpreview.com. If you want a subjective opinion of Ron Martinsen, his wife and friends on what these cameras are REALLY like to own and use on a daily basis then you a have come to the right place. My goal of this comparison, much like I’ve done in my tripod & ball head series, noise reduction roundup, lens rental series, printing series, and web hosting series is to give you MY personal opinion of which product I like the most based on my own personal preferences. I test them as scientifically as I care to so I can try to eliminate any bias or preconceived notions, but the winner(s) here will be the camera(s) that I’d actually go out and buy (at B&H’s normal prices) just like you. I’ll also consider which camera my wife would want as well as she’s the one who will use it most often, and while image quality is important so are size, features and ease of use. Click the review link next to name of the camera below to see my full review. If there is no hyperlink then I haven’t published the review yet, but it is coming soon. I’m also including what my first impressions of each camera was which may differ from my final opinion based on my looking at the detailed data I’ve collected during testing. The cameras are currently listed in the stack ranked order from most favorite to least favorite based on my opinion today, but this list order may change before this article is 100% done – stay tuned. Fujifilm FinePix x10 (P&S of the Year Review) – While this camera lacks some of the ease of use and creature comforts of the Canon G12, this camera is everything I hoped it would be and more when I reviewed the x100. I loved the image quality of the x100, but I thought it was pretty spendy, quirky, and impractical as a camera for my wife. The x10 sacrifices a little in image quality compared to the x100, but sheds a lot in price. It also works extremely well as a point and shoot for my wife and friends, and lacks most of the quirkiness/bugs of the x100. In short, I love this camera for still photos, ease of use, and excellent video. In fact, I loved this one so much that I bought the copy I reviewed. Canon G12 (review) – While this camera lacks 1080p HD video, the killer high ISO performance, and dynamic range of the non-Canon cameras in this comparison, it is still a tough camera to beat. It’s hard dials make it super easy to switch to non-full auto modes and dial in the result to get the shot. My wife knows or cares nothing about geeky camera terms, but she quickly learned and loved how she could dial in a higher ISO or do an exposure compensation to get the shot. She couldn’t define or explain either to you, but she knows to rotate those dials to make the blurry images go away or modify the image brightness. She’s also appreciated the durability as this rides in her bottom diaper bag compartment where it takes a beating daily. She’s enjoyed the pivoting display so she can capture herself in photos or videos with the baby. However, the feature she enjoys the most is the speed – in short, when she uses this camera she usually gets the shot about 90% of the time (which is higher than me my DSLR as I’m usually too busy dialing in my settings). Regardless of what I do, my wife may not give up this camera without a fight. Canon s100 (review) – I really struggled where to place this camera because it’s the most pocketable camera in the bunch and it is statistically so good. Canon has also packed it full of great features like built-in GPS tracking, a huge LCD on the rear for its size, amazingly good high ISO performance up to 6400, and an innovative ring selector on the front that is programmable so you can have your favorite feature readily accessible without going into menus. With that love aside, I don’t think it doesn’t live up to the hype. I’ve been very unimpressed with the build quality and reliability of both the s95 and s100 I’ve tested. I also find that despite how it seems on paper when you compare it to the G12, the reality is that when you are out shooting kids doing activities its shutter lag is annoying and it repeatedly underwhelms me with the images that come out of it. While you can use the High-Speed Burst HQ scene mode to get a fast burst of 8 shots, RAW is not supported and frequently the subject is out of focus. I’d rather have a 3 megapixel version of this camera that had much better dynamic range and faster performance than this dog. Despite its great stats on paper, a car analogy is in order – it’s much like comparing a Ford Mustang GT to a Porsche Cayman S. While the Mustang might fare well on paper, and looks are subjective, when you actually use both you realize there is no comparison. My wife liked the s95 when she compared it to the G12, but we ultimately went with the G12, Now that she’s a seasoned G12 owner, but she lasted 10 minutes with this camera before she handed it back to me in disgust and resumed using the G12. She said she still loved the compact size, but we made the right decision getting the G12. I couldn’t agree more. From here, the Fujifilm FinePix x100 (review) would be next on my list despite all of its quirkiness and lack of a zoom lens. This camera just feels like quality your hands and it draws you in with its cool geeky features (like the innovative optical AND digital viewfinder). I couldn’t justify buying one and my wife could never live with it, but if someone gave me one for Christmas I’d be pretty jazzed. It just has an addicting quality to it much like a super fun but frustratingly hard video game. The Canon s95 (review) can’t keep up with the s100, so if you’ve got to have a camera that size then go with the s100 – it is better. It does everything the s95 does, but better in my opinion. However, the s95 is dirt cheap this holiday season as the channel tries to sell out their remaining inventory, so if price is your only concern then you probably won’t find a better deal. Click here to see my article where I compare the video of the s100, x10 and V1 of a subject all recorded at the same time in identical conditions. 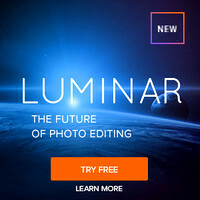 Photoshop will require Adobe Camera Raw 6.6 and you will need Lightroom 3.6 to use the RAW file format of the Nikon 1 V1 (*.NEF), Fujifilm Finepix x100 (*.RAF), or the Canon s100 (*.CR2). If you don’t have those versions you can still read those image formats using the latest versions of Capture NX2 (2.2.8+), SILKYPIX (3.2.5.0 & up), and DPP (3.11 & up). If you aren’t familiar with this case and its unique strap, then check out this cool short video. You can purchase it in various sizes at B&H. While reviewing these camera I got my hands on a Gary Fong Flip-Cage Pro, so I used it as my tripod when I was out and about. The Pro size is needed for the V1, G12 & X10, but a smaller size flip cage can be used with typical point and shoots like the s100. None of these cameras are bad cameras. In fact, compared to most consumer products out there they are excellent. The s100 may be my least favorite, but it is a joy to use and comes in the perfect package. 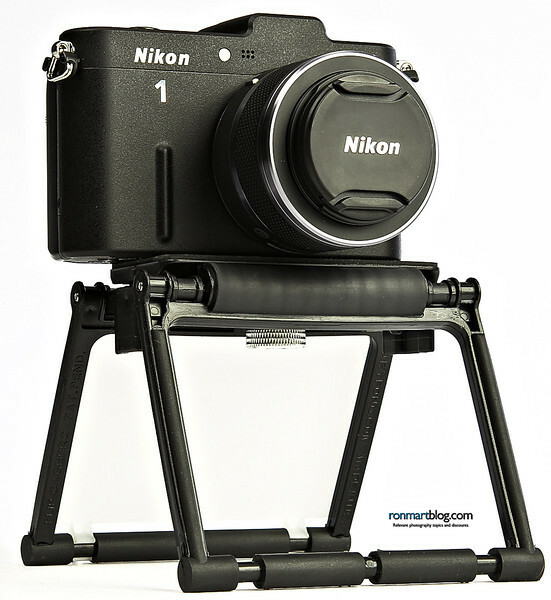 The Nikon 1 V1 seems pointless to me, but it can take a decent photo and the interchangeable lenses open up new options. With that said, all are good but only one is great – the Fujifilm X10. I love the X10 so much that I’ve actually purchased my evaluation unit from B&H. If I was buying for my wife only I'd wish a G12 replacement was out, but she loves the X10 based on our real world experiences at Thanksgiving, in Hawaii, and Christmas (including Christmas lights outdoors). The other cameras are nice and have their benefits, but my money goes to the X10 for the best overall performance. 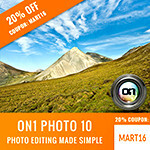 Please use the links to the cameras found in this article to make your purchase, and feel free to enjoy my discount coupon code page to save even more on your favorite photography products. If you enjoyed this article, please share it on your favorite forums and social networking sites so that others can enjoy it as well. See at the bottom of this article for links to help make that simple and easy to do. While most popular blogs have mechanisms for generating revenue, few disclose it. I believe in transparency so I will disclose that B&H has given me an extended return period to review these cameras, but I returned the s100 and V1 when I was done. I purchased the X10 based on my findings at an open box discounted price. Ron what about the Nikon Coolpix P7100. That runs side by side with the Canon G12. What's your take between the two? Nikon definitely outshines it with the zoom. Thanks for your comment about the P7100. To be honest I haven't had a chance to look at it yet. There's so many cameras in this class that I've only focused on the ones that are getting the most buzz from the people in my circles. In the past I was always very dissapointed with the Coolpix cameras, so I went with Canon. Even many of my pro colleagues who shoot with Nikon use the Canon G-series cameras so I don't think I was the only one. Times change and new products are introduced which is why I decided to test the Nikon 1 V1, but it is the only one I have time to test for now. If things change I'll be sure to update the article. Thanks for your suggestion! There are a load of cameras in this group, including the Samsung TL500, Olympux ZX-1. But you're right, it'd take too long to review them all, let alone get your hands on them. I like your review, not techincal slanted, more a general feel & thoguhts on them. I like your comparisons, but I do think it is a little unfair to add the S100 here. My reason being that the S100 is pocketable where none of the others are (unless you have big pockets which my wife doesn't). Fair argument, but I am really looking at this from the perspective of DSLR alternatives (i.e., the camera a photographer would bring to a family dinner, Disney vacation, etc...). I do point out the pocketabilty of the s100 and in the review I point out its strengths. This article is much more meaningful when you read the reviews for each camera. I'm a little easier on the Nikon and Canon in those reviews. I like the idea of the Fuji X10 but 28mm equivalent is just not wide enough. I bought the panasonic LX5 for the 24 wide end and it is one fine camera to carry around. Works flawlessly and the image quality is good enough for newspaper work any day. If they make a wider angle on the next iteration I'll be very interested. The brilliant pano mode addresses any wide concerns I might have had, but it's actually not been an issue in my real world use. Hi Ron. Thanks for the great comparison review. So refreshing to see such a comprehensive "everyday use" review! I've been agonising over the X100 after finally deciding that either the X10 or S100 were actually more suitable for what I shoot most of the time. I had pretty much decided on the X10 (because of the superior IQ) but subsequently have heard about the white disc" or "blooming" issue that some X10 owners have experienced when shooting at bright light sources. Have you yourself had any experience or problems with these white discs? Would really appreciate your advice. So frustrating! If Fuji don't release a firmware update by end of Jan I might just go with the S100. .....because I agree with Ron: system compacts is rubbish! And, may be difficult, but I would like to see a combination of the manual shutter speed control wheel AND the P, S, A, C1,C2 +++options as well the aperture control ring on the lens. Then I pay €800 with a smile, and may be, € 1000 with a not so nice smile, but it would be a "must have!". Hi, compliment for your blog. P.S. : I tell only about IQ (sharpness first) of this two cameras, without considering other parameters. The s100 has better in-camera processing of its images than the G12. If you process your own RAW files then you can get roughly the same results from the G12 as the s100. The X10 blows away both the s100 and G12 in terms of image quality. Thank you Ron for your rapid response. Now I understand what you mean with "same image quality" for these two cameras. In your opinion, it's now that enter other characteristics? For G12: better manual control, building, flip out lcd, quality of lens, zoom 140 f4.5, battery..
And for S100: better quality in low light (CMOS sensor digic V= high ISO performance), wide angle 24 f2.0, pocket ability..
(I don't consider Gps and video performance in this comparision. I think that more important the quality of image produced). Ok for GPS and Video but not primary. Therefore, in day light have parity IQ, but in low light you think S100 won? From what I could see on internet, G12 is usable up to ISO 800, after noise is too high. S100 takes I lot of advantage in this condition? This advantage is appreciable in your experience? Or is still the post-production to give same results. I would prefer an object with both features ....eheh! But, for now, I'll have to make a choice. Because I want to go in Paris in March (I already have DSLR EOS 550d) and I don't think Canon release a substitute g12 soon, there is G1X now(much expensive)! It 'hard to keep up with technology, especially when factories increase an improvement at a time (my critical opinion). About Fuji X10....great camera! Indeed, it would be my choice, but I'm afraid for "WHITE DISC". If you want to express an opinion on this I will be very happy! The white disc issue with the X10 is blown WAY out of proportion. Some people just have too much time on their hands to pixel peep. Go check out http://ronmart.smugmug.com/blog/pointandshoot/x10 where I randomly posted 125 photos and http://ronmart.smugmug.com/travel/hawaii where I have a bunch more X10 shots. All of these X10 shots are straight out of the camera without processing (some in Hawaii gallery have editing and some come from 1DM4) and I don't see any white discs. In fact, after taking thousands of shots with my X10 I've never seen this issue. The examples I see on the web just look like typical flare issues to me. The quality of the X10 blows away the Canon cameras. It's no comparison. In fact, the dynamic range in extreme mixed light conditions favors my X10 over my 1D Mark IV and 5D Mark II. Go look at my G11 article. I regularly shot at ISO 800 to 1000 with my G12 and it did better than the excellent performance I got from the G11. If your primary goal is that you want a super small camera then get the s100. If image quality is most important than get the X10. 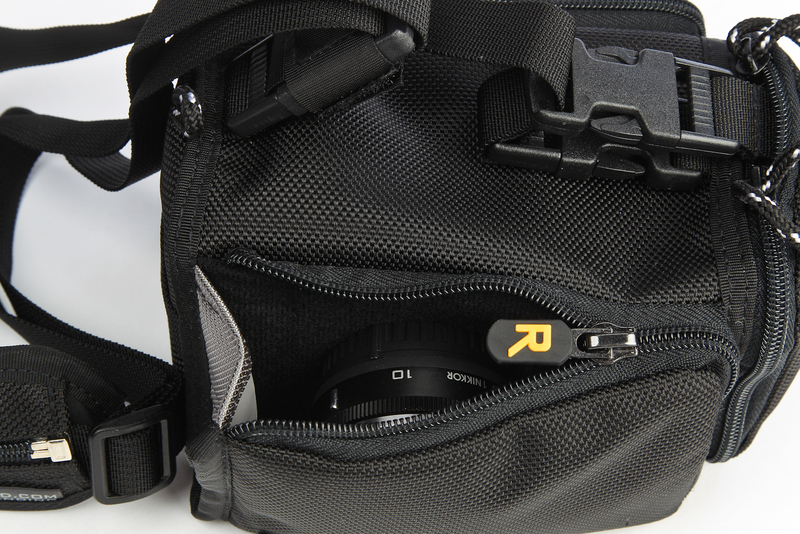 If camera features and easy of access to the manual controls is important then get the G12. I searched informations and examples about white disc; I totally agree with you. It's attributable/comparable at normal lens flare. Only if you enlarge photo you can see circular form, that yes, it's maybe circular more than other...but in a normal print dimension I think that's ok. I've seen also your X10 gallery....fantastic..really fantastic...! Especially range of colour, sharpness and ISO performance! You have illumineted me on my choise. I hope that article can help other people like me. I think that portability is too important for be in condition to shot much time as possible with our equipement, and I know that this concept includes also "portability". But I know the results are important too. When you arrived at home and download photographs if you aren't satisfied of results I tell: yes I have with me my camera, but "bleaaaa"..... X10 is not S100, that you can insert on a jeans pocket but into a small bag yes..I don't see this an enormous sacrifice!!! To conclude I prefer be inclined to IQ....much more satisfaction at the end...this is my opinion. I have read and read your article and I need your advice. I've been using my Nikon P7700 to capture street photography. I have no problem with P7700 for its quality of works as well as exterior design. Mostly I take pictures in "P" mode only because I never learned photography. Only reason to consider to buy Fuji X10 is EXR mode as you described and its speed. I don't care about video but smaller zoom is another concern. If you have a chance, please visit my Instagram account @tosampo and see what type of photo I take and advise which camera would be better for that. Thank you so much for your time. I look forward hear from you. Based on what I see on your instagram, I think you'll love the Fujifilm X series cameras. 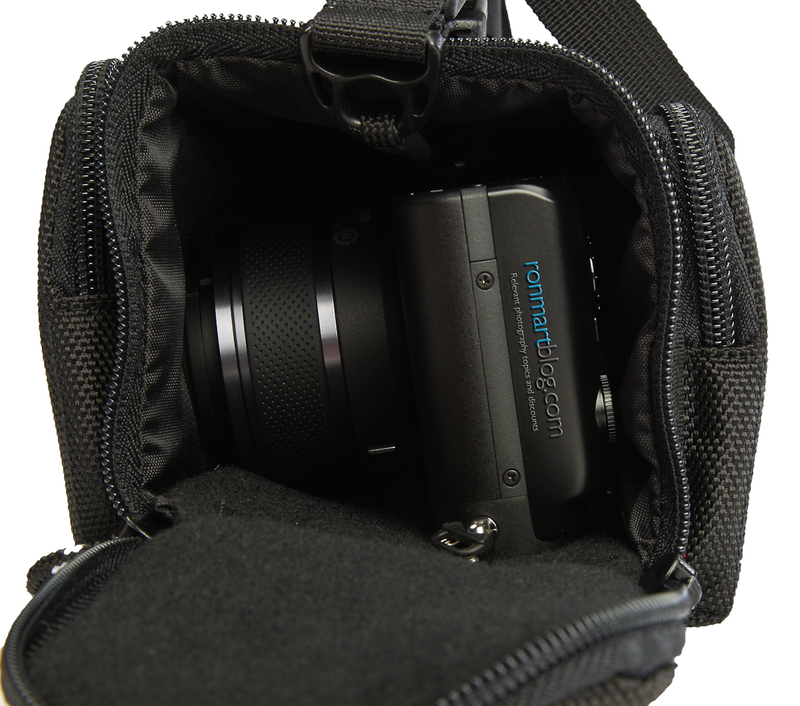 You might want to check out my x30 review as that is the latest model now. If you are never going to use advanced features you may also be fine with the new iPhone 6/6s as it has an excellent camera that is on par with the x10. Thank you so much for the advice. Now I'm looking at X30 based on your review. Of course, I will also upgrade to 6s this September ^^ thanks again.